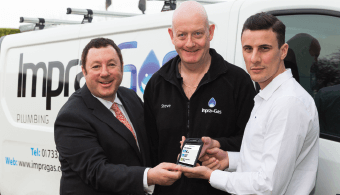 Leeds, UK, 9th February 2016 – The Apprentice winner 2015, Joseph Valente, has selected BigChange’s JobWatch platform to accelerate the growth of Impra-Gas, the plumbing business he owns 50:50 with Lord Sugar. 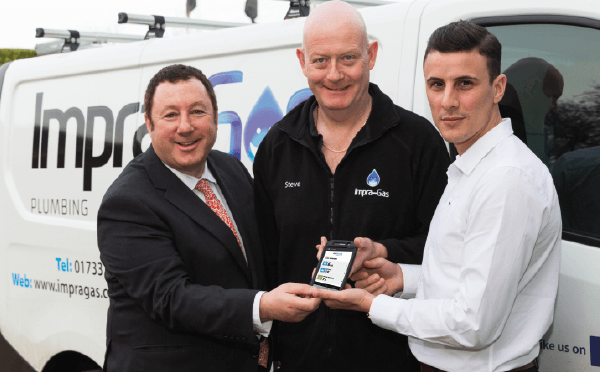 Impra-Gas is on a mission to revolutionise the plumbing industry, using the latest technology to offer people a faster, higher quality service. The company looked at a number of software companies and after a rigorous tender process chose BigChange’s all-in-one Mobile Workforce Management system. The team at Impra-Gas are totally focussed on scaling the business, whilst delivering industry leading levels of service and convenience for customers. The paperless app-based JobWatch system allows Joseph’s management team to manage the entire operation from quotation all the way through to invoice, with integrated planning, management, job scheduling and real-time vehicle and resource tracking. The system also ensures consistent service quality and compliance with an app that guides plumbers through critical checks and procedures. JobWatch is also enabling Impra-Gas to offer a seamless and convenient service experience for customers, with real-time booking on the company’s website as well as on a mobile app. Customers receive live updates that confirm the estimated time of arrival and on completion of work can make mobile payments. Automated electronic job cards and gas safety certificates ensure essential safety documents are safety stored and recorded.